Located just half an hour from the campsite, the village of Collobrières is a small, 12th-century village perched on a hillside. It is especially famed for being the capital of the sweet chestnut and for its candied chestnuts. If you spend a little time there you will also appreciate the area’s natural simplicity, so typical of the Maures Hills, with its typical plant life comprising cork oaks, tree heath, arbutus, whites cistus etc. – just like the vegetation you’ll find at the campsite. The only missing variety at the campsite is the chestnut tree… You will also discover the village’s little-known and very secretive old Abbey: Chartreuse de la Verne. Every year in May, this picturesque village organises an eco-friendly nature festival. 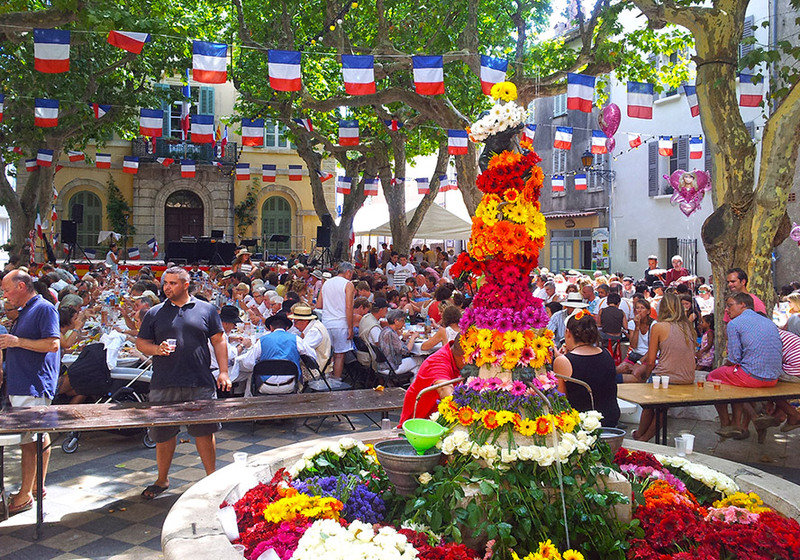 In August the “Fête des Fontaines” celebrates the arrival of water in the village. You can also enjoy visiting the arts festival in September and – of course – the chestnut festival in October! Collobrières is ranked an official “Var Village of Character” alongside seven other villages: Aups, Bargème, Cotignac, La Cadière-D’azur, Le Castellet, Mons and Saint-Martin-De-Pallières.